The most important purpose for any business is marketing and selling which many people fail to realize. Clients are most important to keep the business running. You cannot just place your advertisements periodically. It is an on-going process. You always have to think of new and innovative promotional ideas, advertisements, slogans and campaigns. Not all are compatible with social media though in recent years, but digital marketing has cropped up as the easiest and the most effective way to reach the clients and customers. Not only promotion but also engagement and communication are equally important to establish a relationship of trust and confidence among all. There are number of ways to advertise your fitness business or gym or fitness club. Some look for cost-effective options as well to promote their business within the target area. But how do you draw crowds of new people and keep your current clients in place? Ideas of 10 useful ways to advertise your fitness business is displayed below. If you follow these essential advertising strategies your gym will be a great option for the prospective members to join in. It is obvious that there will be website to your fitness business. However there are many small businesses that do realize the importance for investing for an attractive website. Make sure that the website is SEO ready so that people do not find it difficult to search on internet. Give a distinct look to your website that people can recognize and identify and add specification, details and other information. Also, you can make your website easily accessible on mobile phones. Upload interesting videos, pictures and other valuable content so that people visit your website often. For this you can approach newspaper and magazine company either by visiting those websites or writing emails or contacting them in person. It is a fantastic business promotion tool containing information that is worthy for news. This will engage people’s interest. You can share accomplishments of your fitness gym and benefits for working out. Attractive and eye-catchy advertisements will create awareness on your gym. This will encourage more people to join in your gym. Press release can be published online or in printed form. Social networking sites have become a brilliant medium to showcase your business and increase publicity. Create a ‘Facebook Page’ for your fitness business. Keep up an active participation by posting interesting content more often. You can also cross-promote your website on other social networks like ‘Twitter’ and ‘Instagram.’ Allow your customers to share the contents with their followers on other social media too. Crowdsourcing and people’s words is a very influential way to gather more people. Having an influencer market your business will ensure great results. Maintain a robust presence online by constant communication and posting contents like work-out videos and tutorials will attract audiences. Link your websites with various communities and groups to share with more and more people. For first impression and customer relationship you can give away freebies to people. Offer free personal training, diet chart and nutrition and fitness counselling and share your expertise. This will encourage more people to join in your gym and be a part of your fitness club. It allows an enthusiastic participation from customers and clients. You can also reward members for their referrals. Your members has friends and family who might be equally interested in a fitness training. They will encourage more people to join your gym to reap the rewards. If you create a partnership with a good practitioner or a doctor, you can win more members to your gym. Allow the doctors to recommend patients to workout at your gym. Those who are over-weight and has mild health issues that can be eradicated with regular exercise and proper fitness routine can make great customers for your business. Provide brochures and leaflets to your doctors which they can give out to their patients. A backing and a support from a trusted doctor can provide marketing to your gym. Business card distribution is a fantastic way to make people aware of you and your business. You can connect with designers or create your own exclusive designs with both creative and a professional touch. They are handy and are a reliable source of direct contact. Distribute your leaflets along with your business cards to others local businesses like coffee shops and salons who are not your competitors and encourage them to pass it on their clients and customers. Hire expert and experienced trainers for your fitness club. You can create and build their profiles on your website and Facebook pages and other social platforms. 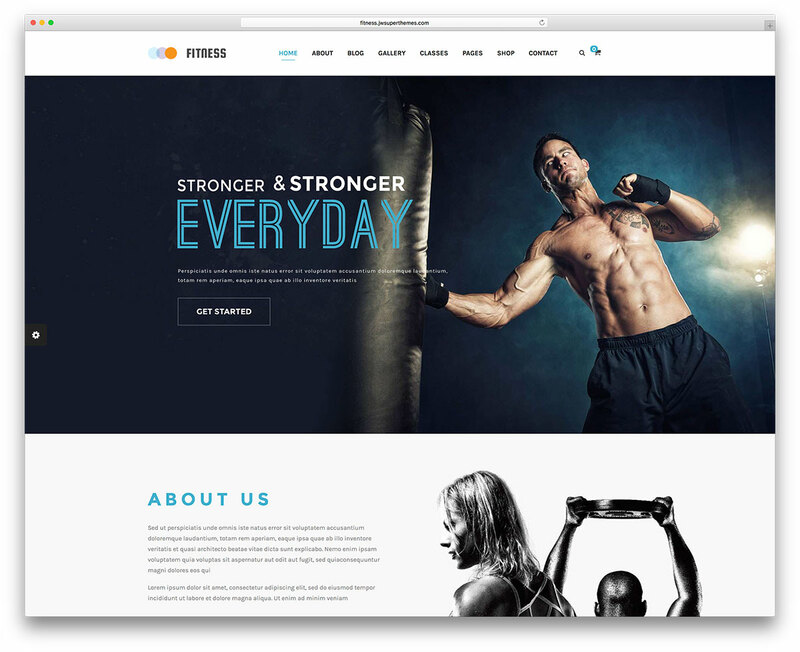 This will create their brand image and popularity to feature on your business website which will not only encourage a happier team and keep those relationships long-lasting but also impress the customers to join your fitness club and start a training programme under your efficient trainers. Allow them to even share your motivational stories and struggles and their research and lessons. Charity gets help for its event and the business company gets exposure and goodwill. It is a cost-effective marketing strategy and can be fruitful for your fitness business as well. People are generally feels a gravitational pull towards companies that care and make commitments and contribution. Therefore supporting a good cause will provide your business with promotion and advertisement and will also create positive publicity and will make people select your company over other competitive ones. You can offer free branded gym outfits so that they can wear during their event and also offer other products from your gym that they can perform with and use during those programmes. It does not matter whether they win or lose the event but their association with your gym itself carries weight. You can also provide free classes to those members who have won for the month with their performance and dedication and feature them on your website and other social sites. Construct your website in such a way that there is a space for question and answers as well. Answer questions that people ask you generally. This will not only answer to the new members but also those existing. This will help in communication and the queries can be quickly answered and sorted. Events like the anniversary of the gym and other contents and programmes are necessary for some recreation amidst hard training. Join other local communities and be a part of their events too. Attend more events and seminars representing your business. These will keep your business noticeable and allow you to work with new clients who are like-minded and are willing to work in collaboration with you. Traditional marketing using flyers and prints are effective, but digital marketing has grown to be the ultimate way to pull in people towards your business. If you cannot handle internet marketing, you are requested to hire someone special and skilful for performing the necessary functions. It is possible to reach the zenith of success if you follow these methods and techniques diligently.